PropertySuite ‘CRM’ is the integrated Buyer/Vendor/Prospecting database management toolset. Used mainly by salespeople, it helps prospect and manage relationships with vendor, buyers and general contacts alike. The PropertySuite ‘Reminders Series’ allows a sequence of future dates and events on a contact to help either prospect for possible business or follow up after completed business. The salesperson will automatically receive reminders via the PropertySuite ‘Daily Email’, their mobile device or via logging into PropertySuite, prompting contact to buyers and vendors. 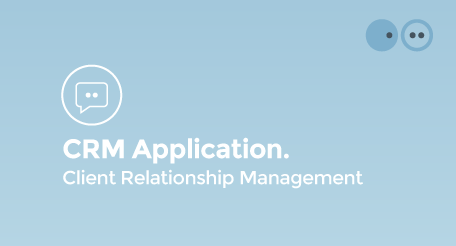 If you would like to enquire further about PropertySuite's CRM functionality, click here. CRM database tool matching buyers with vendors, 24/7 with real time data. Data kept in the same location is easier to be changed, re-organised, mirrored and analysed. From confirmation to settlement processing, PropertySuite provides the full solution. PropertySuite can create a full website strategy from design to build and assistance with content. PropertySuite email is the reminders and correspondence toolset of the integrated solution. Marketing enables all touchpoints to be built from one centralised portal of information. Smart Systems for Real Estate. More than just a CRM solution, PropertySuite provides you with an operating system to transform the way you run your business and connect with clients and suppliers. PropertySuite provides the complete solution that integrates relationship management, media and marketing management, transaction & financial management. We combine our innovative software with experienced consulting and online training. PropertySuite has made the investment in both its people and product innovation to continually raise the bar for the real estate industry. Our team is completely in-house and includes account management, sales, design and marketing, consulting and an extensive product development and technical team. For one complete platform, call us today.